Before grime came garage, and amidst the forefront of its mainstream popularity was Southampton duo Artful Dodger, brained and piloted by original members Pete Devererux and Mark Hill. Amongst their famous tracks was 'Re-Rewind', which kickstarted the career of Craig David in 1999. However, the moniker itself has since changed hands leaving its founders for "legal reasons" needing to define themselves as Original Dodger for this, their first single together in 15 years. The effortless skitter of the beat, its insectoid shuffle and buzz, fluid and fluent, fast and bustling but whirling easily chilled and free through the track, this garage foundation is the steely stalwart of 'Millionaire'. And with that the clean bulging bass blossoms subtly below, syncopated and measured the booms of it bounce along with the same rapid rhythm effused by the beat itself. Icicles of synth chime out coldly glittering in their effective and simple grime-ish melody, maybe the influence of featuring grime producer veteran Davinche, this icy sound gleaming as the two-part hook courtesy of up-and-coming London singer Daecolm, his vocal plays out first quick, low, layered and catchy and then slower with a rich balladic tone, aching and weaving through the thicketing beats. Topping it off, it's grime MC P Money in the verse, stoic triumphal muted chords playing as his red carpet, his flow laid-back and competent seeming to stride easy over the skipping beat—"i pick up the mic and leave chilblains / got em baffled when i talk grime." All this talent and then that message, anti-ostentatious, "I ain't no millionaire" in the hook, not needing to front, being content with yourself, positive and refreshing—and then you remember, like this isn't an ordinary cake but a special one let's say red velvet because when do you ever eat that or imagine any other favourite food but augmented, its best version, but yes: it's the return of the actual Original Dodger. 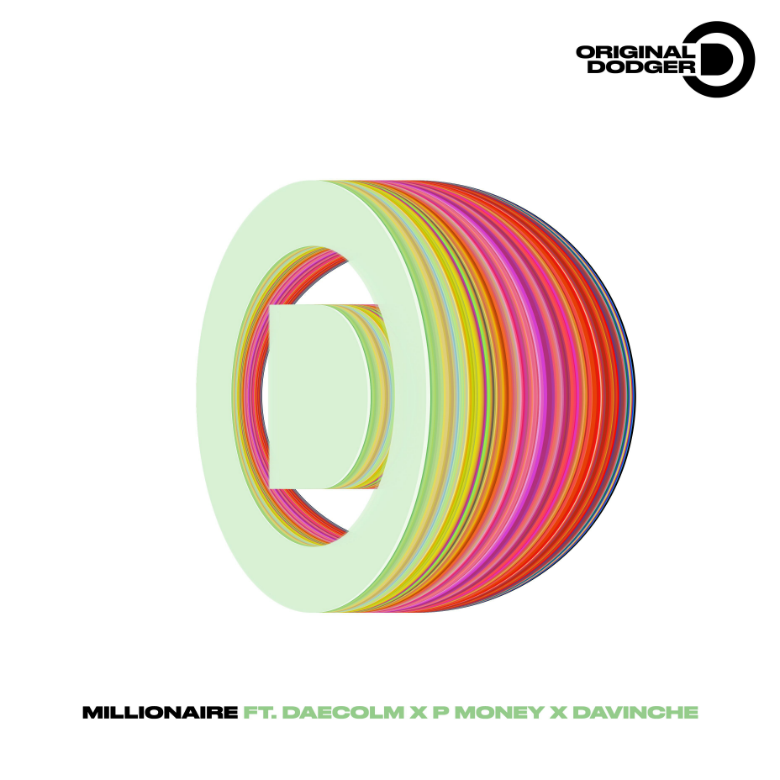 🔔 'Millionaire' is one of eleven productions from Original Dodger's project Soundtrack, scheduled to be released one-by-one throughout summer.